For a long time, I wanted to share some snapshots from my mother's home in our native town. 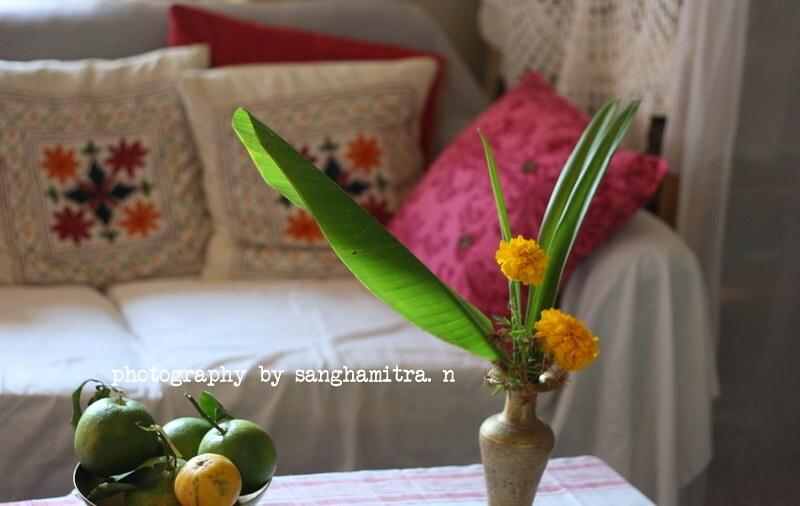 The last time when I was there, I put some marigold flowers, a banana leaf and some other leaves in the vase. All the leaves and flowers are from my mom's garden. Here are some pictures from the living room. I LOVE all the colour. This is a room I would adore sitting in. You capture it so beautifully. This made my soul lift. I need more of these moments in a world that is growing increasingly dark. I love that you always have some innocence that balances out with your sophisticated and elegant beauty. 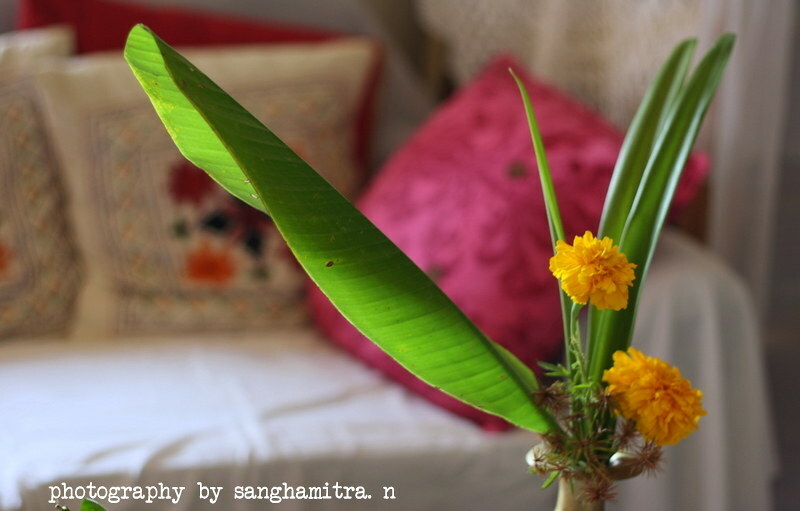 Though it is d same pic of the flower n vase ,the series of pic's tells a story,the set of pic's is really something else. Thank you Dipa, for appreciating the photography ! Hope you are doing good. Nice to see your mom's home in pics. 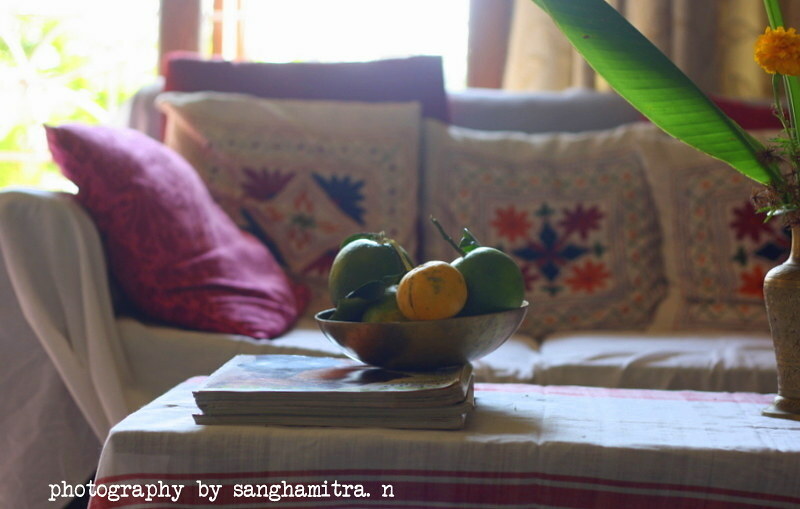 The greenery around your house gives the whole place such a peaceful and bright look. The crochet work is a must at my mom's place too :-) Rgds,PK. Thank you PK, I am so happy to see that you have noticed the crochet work and that you could relate it to your mom's home ! And yes, you are right-the greenery is so beautiful and rare.